Shore Meadow in Silecroft, near Millom, Cumbria sleeps 4 people. Shore Meadow near Millom is a perfect getaway from the hustle and bustle of everyday life. Set just 150 yards from a beautiful, secluded sandy beach and enjoying an idyllic position in this tranquil, south-western corner of the Lakes where the mountains almost meet the sea. This semi-detached cottage is a short walk from the peaceful village centre of Silecroft. 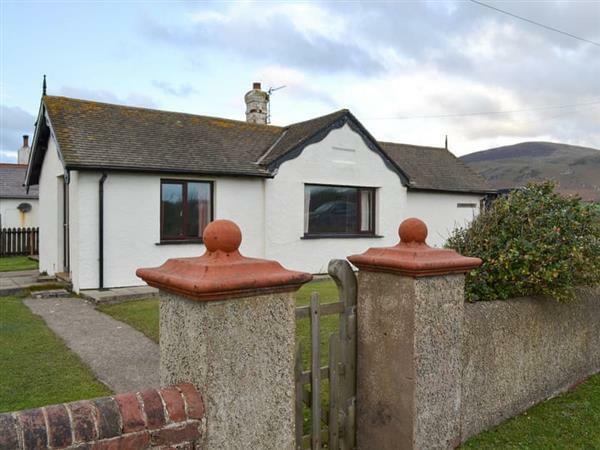 It has stunning westerly views over the Irish Sea to the Isle of Man and easterly views to Black Combe Fell. The beach extends for miles in both directions and is perfect for dog walking, lazy days building sandcastles or taking to the sea for fishing. Shore Meadow has two double bedrooms and has been furnished and equipped to provide a really comfortable stay. There is a spacious breakfast kitchen which opens to a patio area with outside furniture, a large living room with two sofas and a wood burner, plus a separate dining room with French doors to the garden. There is also a large, enclosed, lawned garden, ideal for young children and dogs, and private parking for two cars. Black Combe, the closest of the Lake District Fells, is only 2 miles away, and all of the westerly fells, including Sca Fell and Sca Fell Pike, are within easy reach, offering great walking for all abilities. Nearby attractions include Cumbria Heavy Horses, a BHS approved riding centre offering fell and beach rides on Clydesdale and Shire horses; water sports centre at Port Haverigg; South Lakeland Wild Animal Park, home to tigers, lions, white rhino, giraffes and lots of monkeys; historic Muncaster Castle, with stunning gardens and many seasonal events, also home of the World Owl Trust, and Ravenglass and Eskdale Narrow Gauge Railway, where you can ride a steam train through some of the most beautiful scenery in the Lake District. A farm shop and gallery at nearby Bootle also offers breakfasts, lunches and afternoon teas. Short, beautiful drives take you to Coniston, with the Ruskin Museum which houses geology and copper mining exhibits; the boating centre and Bluebird Café, or Whitehaven, Cumbria’s oldest harbour, where the Rum Story exhibition gives a fresh view on the town, and The Beacon Museum, with five floors of interactive exhibits, powerful telescopes and seafaring displays, providing a fun family day out. The beach is 150 yards from Shore Meadow near Millom. With the shop 50 yards, and the pub & restaurant is ¾ mile from Shore Meadow. Oil central heating, electricity, bed linen, towels and Wi-Fi included. Initial fuel for wood burner included. Travel cot and highchair. Enclosed lawned garden with patio and garden furniture. Private parking for 2 cars. No smoking. Holidays at Shore Meadow run from Friday to Friday. Pets allowed at Shore Meadow. For a better idea of where Shore Meadow is, you can see Shore Meadow on the map below. Shore Meadow is in Cumbria; should you be on the lookout for a special offer, you can find all the special offers in Cumbria. It's always worth checking to see what is on offer at the moment. 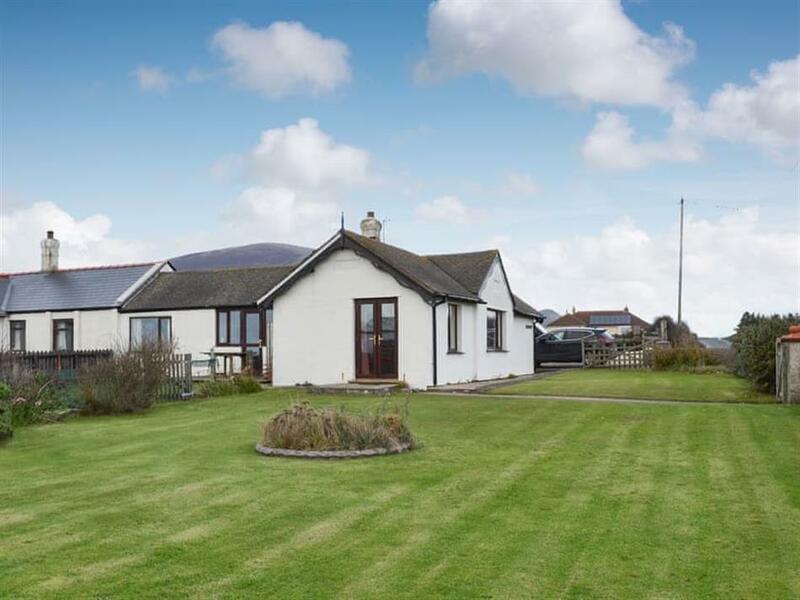 Do you want to holiday near Shore Meadow (UK10390), you can see other cottages within 25 miles of Shore Meadow; have a look to find your perfect holiday location.